Topiary is the art of training and clipping of evergreen shrubs into shapes. 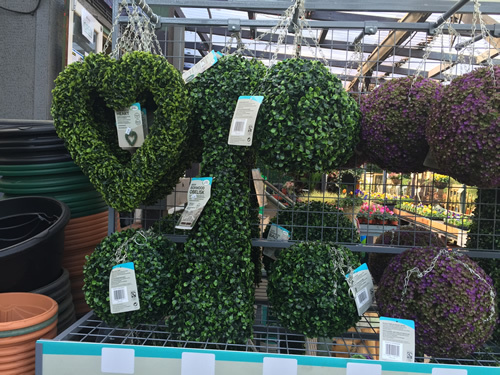 Buxus, or more commonly known as box, Eunoymus, Laurals, and yews and Ligustrum are all perfect evergreens to use for topiary, the shrubs can be trimmed into different shapes and you need to trim it a few times a year during the summer, May to August and feed with an all purpose granular fertiliser. 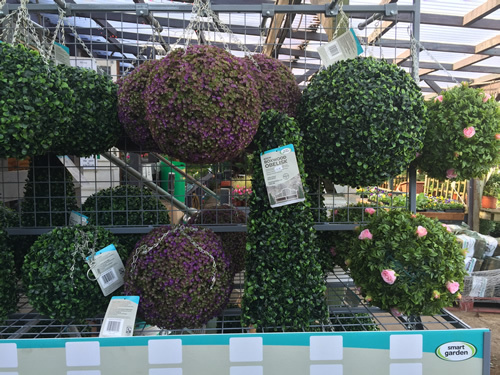 Topiary is easy to do when you know how,use ready made shaped wire cases to make a range of spheres, pyramids and even animals, available in store now. See a selection below. 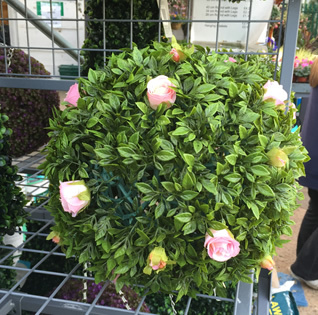 Start with a basic sphere shape cage and a buxus shrub. Use john innes no 3 compost for planting. If planting in a pot place some old broken crockery or polystyrene in the bottom of the pot for water drainage. 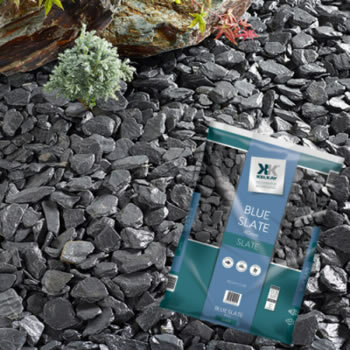 Plant the buxus in the ground or in a pot and place some plastic around the base of the plant, this will catch the clippings,. Place the shape cage over the plant and gently pull the branches through the frame and trim with secatures cutting all the branches back to the frame. Do not worry if you have gaps and holes under the frame these will soon fill out. Carefully remove the cage, and the clippings from around the base of the plant, this will help prevent fungal diseases like box blight. Water every day and even more so in the warmer weather and water onto the soil not over the shrub. We now stock a range of beautiful, authentic artificial topiary options that require no maintenance and will help your garden area look beautiful all year round. These will last a good few years if not longer, and provide great value. Prices range from £14.99 upwards.